A decade ago, just having a mediocre website up and running was considered enough to establish your online presence and differentiate yourself as a business. But now, with the internet becoming the new global tradeshow, it’s vital to differentiate your organization and make the best first impression online. An outdated, cluttered or poorly-designed website is a limp handshake. It doesn’t exactly represent you or your business well, establish trust or impress the potential customers searching the web for the products of services you offer. 1. Know Your Target Audience. Do you know your audience? Is your site oriented around their measurable and felt needs? You can figure this out through the “Five W’s”; Who, What, When, Where, and Why. What: First ask yourself, what are my favorite products or services to sell (i.e. the most profitable, the most strategic, the ones you most enjoy providing)? Be specific. Which types of jobs will best grow your business? Who: Now analyze those jobs. Who were the best customers for those offerings (i.e. local homeowners, middle-aged business owners, college students)? How old are they? What are their expectations and habits? When: At what time of year did they buy? Are there busy seasons at which point are your ideal customers most ready for what you’re offering? Where: Where do your customers reside? Does this area align with your territory? Again, be specific and really try to focus on this region. Do your customers like in-person visits and don’t want to drive more than 30 minutes? Or are they global? Why: Why are your ideal customers coming to you? Why do they think you can help them? Why do they choose to work with you? Was it when they found out your price, mission statement, or delivery time? Why are you different from your competitors? Make sure that your site is utilizing content, imagery, and design that’s focused on capturing the attention of the audience you’ve defined. When someone is deciding to work with you, what’s the next step? Would it be best for that person to call or email you? How about downloading a checklist or eBook and following up with an email? Make sure your call-to-action is very clear on your website. Placing your phone number in the header of your website or having an email contact form on your “Contact Us” page are just two of the many ways to encourage your customers to reach out. ? 3. Upgrade Your Website’s Design and Vary Your Content. Now that you’ve defined your target audience and call-to-action, how aesthetically pleasing is your site? Is it too busy? Is there a visible hierarchy in your content? Is your website easy to navigate? Is it coherently structured? Would it confuse your customers? How are your fonts and images? Color scheme? Grammar? Only use high-quality images on your site, and make sure that your fonts and color scheme portray the message you want to send to your potential customers. Proofread your content over and over, and make tweaks as needed. Add some high-quality web videos to your site. If a picture is worth a thousand words, imagine what a 1-2 minute video explaining your business or introducing yourself can do. Websites are the communication cornerstones of every organization, but with the fast pace of change on the Internet, many sites that once seemed state-of-the-art have quickly turned obsolete. Is your presentation to the world-wide web actually harming your business' reputation by telling the world that your company is a low-quality operation? Feel free to check out our portfolio at www.si.design for some ideas of intentional design in action. 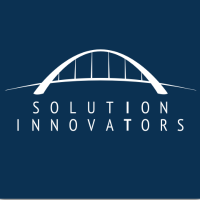 Solution Innovators is a web design company located in South Windsor, CT. We provide appealing, state- of-the-art websites, back-end web applications, and reliable website maintenance that distinguishes our customers in the online marketplace with reliable websites that make incredible first impressions.